One Momma Saving Money: Purchase Goosebumps in HDX for only $9.99 + get $8.00 off movie ticket! Purchase Goosebumps in HDX for only $9.99 + get $8.00 off movie ticket! 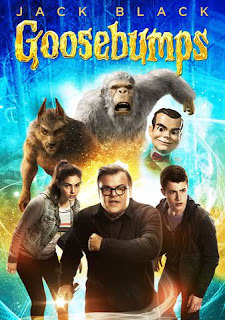 Purchase Goosebumps in HDX for only $9.99 on VUDU + get $8.00 off movie ticket! When monsters are unleashed from their manuscripts & terrorize a town, it's up to R.L. Stine, Zach &Hannah to get them back in their books.